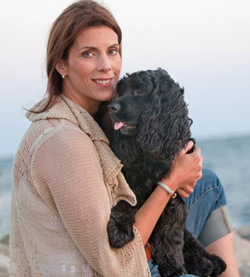 Dr. Debbie Torraca has been involved in the field of canine physical rehabilitation and conditioning for over twenty years. She began her career in human sports medicine and quickly made the transformation over to canine physical rehabilitation and sports medicine. She began with a BS at Boston University, an advanced MS from Quinnipiac College, and a doctorate at the University of Tennessee. She is also a certified canine rehabilitation practitioner, and is one of the founding persons involved in the University of Tennessee Canine Rehabilitation Practitioner program. She continues to play an integral role in the continued growth and advancement of the program. In addition, she believes that each day should be a learning experience and continuously seeks continuing education opportunities in the classroom and in real life experiences! Dr. Torraca has been teaching throughout the world on many topics and is widely published on the topic of canine physical rehabilitation, laser therapy in a rehabilitation setting, as well as canine performance. She has many DVDS, articles, and additional information published for the dog lover on topics ranging from conditioning, structure, injury prevention, stretching, strengthening, performance, and rehabilitation. She has been very involved with professional research in the area of canine performance and treatment of canine performance issues. In addition, a new passion has included the treatment of degenerative myelopathy with laser therapy. She absolutely loves spending time in her clinics, Wizard of Paws Physical Rehabilitation for Animals, LLC. Her love of animals and rehabilitation is demonstrated through her practice and her teaching – she loves what she does and it is obvious. She is often sought out for her advice throughout the world and is thrilled to be able to offer her advice to others to help animals.